We experience the culture of globalisation every time we visit a Tandoori restaurant in Chicago, or a Pizza Hut in Hyderabad, or as we watch Bollywood films in Australia. Globalisation is a label used for a wide range of political, social and cultural phenomena, many of which are explored in this volume. 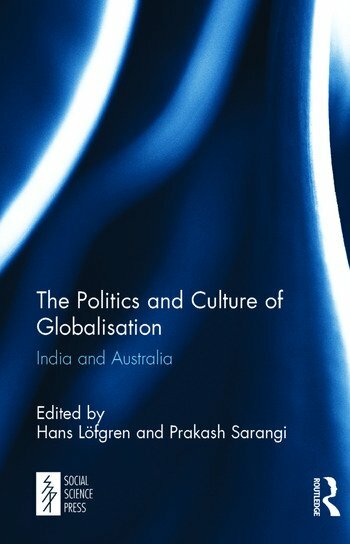 The Politics and Culture of Globalisation: India and Australia brings together Indian and Australian experts in the fields of political science, international relations, philosophy, cultural theory and political economy. Its timeliness and unifying theme derive from comparisons between Indian and Australian perspectives, and analyses by Australian writers on developments in India. Indian-Australian relations are explored in several chapters. The neo-liberal form of globalisation is a key focus of critique in this volume. Several chapters examine the search for alternative forms of governance as the nation-state undergoes profound change due to global interconnectedness. Hans Löfgren is Director of the Master of Politics and Policy Program at Deakin University, Australia. He has published extensively on the politics and economics of pharmaceuticals, for example in New Political Science (2007), Australia New Zealand Health Policy (2007) and Social Science & Medicine (2004). Prakash Sarangi is Professor of Political Science at the University of Hyderabad. His publications include Liberal Theories of State: Contemporary Perspectives (1996) and Political Exchange and Public Policy: A Cross-National Analysis (1990).